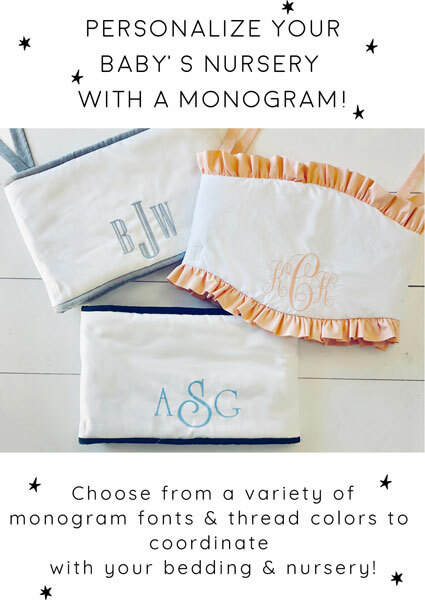 Personalize your Baby Bedding with Monogramming! 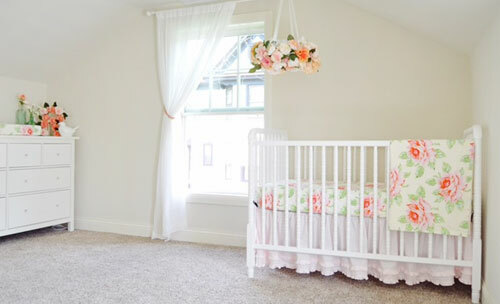 A Stunning Rose Nursery featuring our Hello Roses Baby Bedding! Decorate your nursery in a bold way with large wooden letters! Large wall letters are a fun way to add pizazz and personalization to your baby's room. 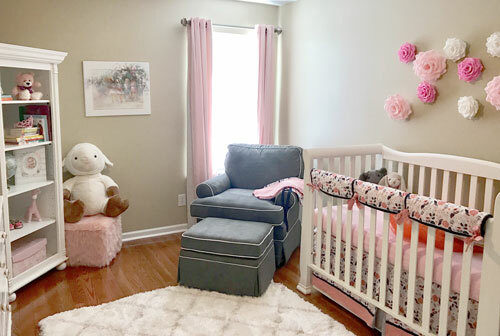 A Sweet Navy and Peach Baby Girl Nursery featuring New Arrivals Inc. 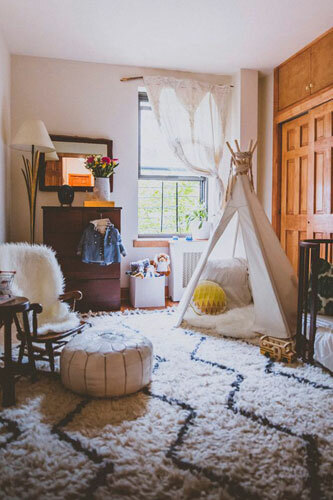 Camping Floral Crib Collection!